The Whisky Exchange has again marked Black Friday (23 November) with a ‘fantastic value for money’ limited edition bottling of an Orkney malt, which sold out online within an hour. The Black Friday 2018 Edition is an 18-year-old single malt sourced from an unnamed Orkney distillery. Bottled at 54.6% abv, the whisky is said to embody a ‘gentle smoky character’ typical of its distillery, ‘with autumnal notes and a hint of festive flavour’ [read Dave Broom’s review here]. Just 1,400 bottles were made available to purchase exclusively through thewhiskyexchange.com, although the site sold out within just one hour of going online at 6am this morning. A limited number of bottles will still be made available at the retailer’s two London shops for £69.95. The limited edition has been created to mark Black Friday – the day following Thanksgiving which marks the start of the Christmas shopping season in the US. Many high street and online retailers offer heavy discounts for one day only, a tradition that has since extended to other countries around the world. 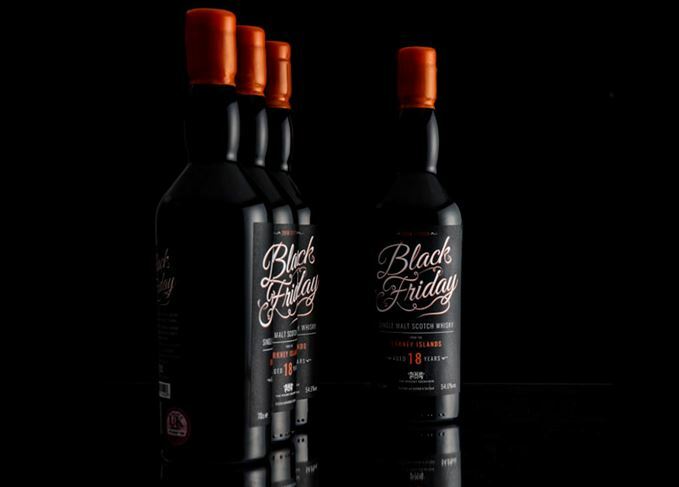 The Whisky Exchange said the Black Friday bottling is ‘fast becoming a tradition’, with last year’s edition – a 16-year-old Speyside – selling out online in just 15 minutes. This year the retailer confirmed it ‘made sure we’ve got more bottles than we had last year’. The retailer’s new flagship store in London’s Covent Garden features a dedicated whisky room. A 10-year-old Army & Navy Glen Grant, 27-year-old Glen Grant and 1969 Longmorn.